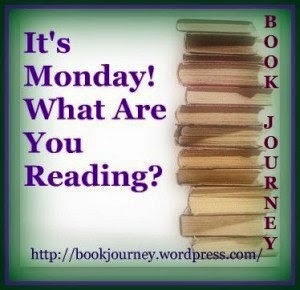 Lakeside Musing: It's Monday, What Are You Reading? I was reminded of The Great Gatsby... must watch the movie. I'm 60% done, but not really loving it. I really like this so far... it keeps me walking that extra mile. Your weekend sounds lovely, autumn in New York! Breakfast at Tiffany's is a good reading before a trip to NYC! I've never read the End of Your Life Book Club--hope that's a good read for you. Leila - I didn't plan to read Breakfast at Tiffany's before heading to New York, but it was a happy coincidence. 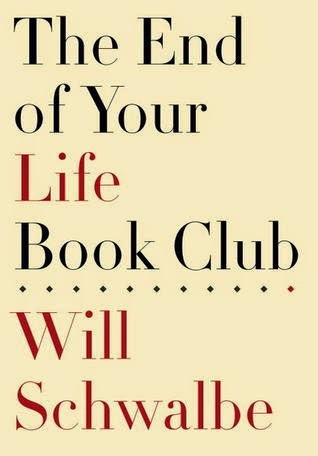 I like The End of Your Life Book Club very much... it's a memoir of his mother's illness, given structure by books. 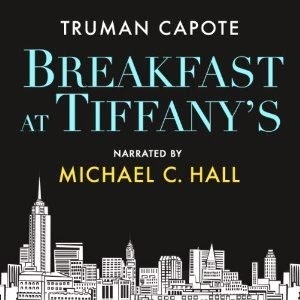 I recently downloaded Breakfast at Tiffany's...hope to read it soon. I'm sorry you are not loving Big Little Lies. On my blog (thanks for visiting! ), you mentioned enjoying Marge Piercy, and I still fondly remember the first book of hers I read; it was in the 70s: Small Changes. 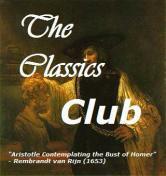 We were in a book club and what a conversation we had! Laurel-Rain Snow - After I commented on your blog, I went to look for the title of the Piercy book I read and couldn't find it. Now I'm wondering if I mixed up the author. Anyway, her books look very interesting, so I'm going to add her to my list! 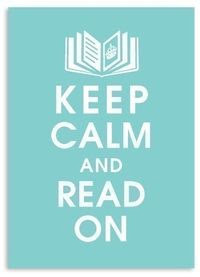 I really want to read both of your current reads soon. 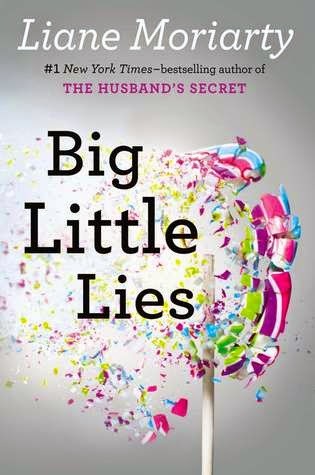 Kathy - Big Little Lies is a quick read, but I like The End of Your Life Book Club better. Greg - Breakfast at Tiffany's wasn't exactly what I expected, but still a good book. New York is always a treat! Big Little Lies is on my wish list, and I have a copy of The End of Your Life Book Club that's gathering dust. Sounds like you had the perfect weekend getaway. I agree that the weather was fantastic in NYC over the weekend...I'm hoping there's more of it in store. Catherine - I'll take NYC in any weather, but it was such a treat to sit outdoors, enjoy a leisurely dinner, and watch the world go by! I wrote an entire blog post on Breakfast at Tiffany's reminding me of Gatsby. it's uncanny, isn't it? 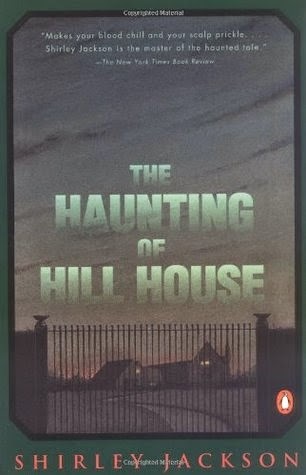 I've been wanting to read Haunting of Hill House--maybe next year. Should be good--Jackson is incredible. Must check out The End of Your Life Book Club--could be a winner for me. JaneGS - I'm going to have to look for that blog post!! Wonder if I read it, had a seed planted, and then forgot about it... so strange. The Haunting of Hill House was more creepy than scary, and I like it better the more I think about it. I might even reread it on audio. I've only listened to the equivalent of 100 pages in The End of Your Life Book Club, but really like how books give the memoir structure. It also helps that he started out with Crossing to Safety, which is an all-time favorite. Used to live in NY and Autumn is so lovely in the city at this time. Glad you had fun. Breakfast at Tiffany's was a wonderful movie. George Peppard and Audrey Hepburn, wow! Rita - I'm going to watch the movie on Netflix while the book is still fresh in my mind. I read somewhere that there are some key plot differences and will be curious to see what they are. Breakfast at Tiffany's is on my Classics Club list. I haven't read it or seen the movie and I hope to fix that soon! I'm looking forward to seeing what you thought of Hill House. I don't think I really loved it the first time I read it. I highly recommend the audio version if you ever get the urge to reread. There's a lot more humor in the book than I ever realized. A weekend in New York sounds amazing! Glad you had a good time! 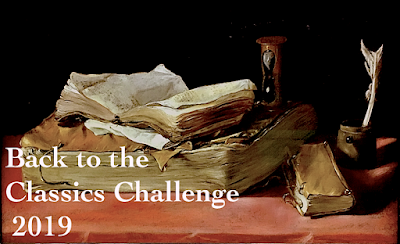 I'm looking forward to seeing your thoughts on The End of Your Life Book Club. I've been wondering about that. Katherine - I'm going to take your advice and listen to Hill House for a reread. Another blogging friend recommended the audio, too. I love the film Breakfast at Tiffany's and although the book sits on my shelf I have not read it. I need to. The movie is one of those films I have seen probably a dozen times as every time it comes along on the t.v. I pick it up again. Just love it. Audrey Hepburn is wonderful. Pam - I can't believe I've never watched the film... will get to it soon! Guy - NYC is the best! We lived in CT (Fairfield county) for several years back in the 80's and are happy our daughter gives us the opportunity to visit frequently now. As for Capote, I loved both A Christmas Memory and In Cold Blood and look forward to exploring more of his work. I just read Breakfast at Tiffany's over the weekend and also was reminded of the Great Gatsby, mostly because of the similar roles taken by the narrators of each story. Agoodstoppingpoint - Yes! It was the narrator that reminded me of The Great Gatsby, too! Holly was also reminiscent of Jay Gatsby, in many ways a female incarnation. This must have all been addressed before... will need to google this topic. Love the movie Breakfast at Tiffany's, but never even entertained the idea of reading the book. Hmmm. And NOOOOO! Really you don't like Big Little Lies? I don't know, I just found so much truth in all the BS that goes on in small schools. I felt like I'd lived it. Sandy - Maybe it's that Big Little Lies seems all too true... sigh. Diana - I didn't end up enjoying The Haunting of Hill House as much as I'd hope, but may reread on audio at some point. Sorry to hear that you aren't loving the Moriarty book. Bummer!